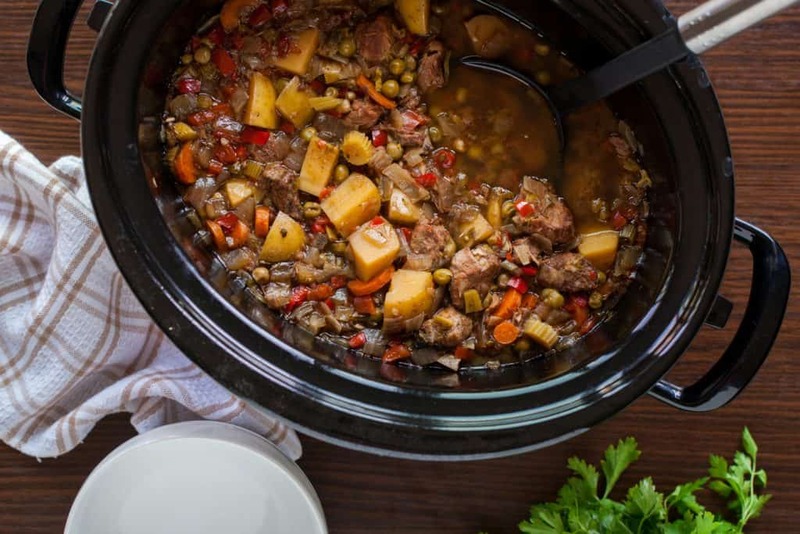 After a long day tending to the land, few things are more comforting than this crock pot beef stew. It’s chunky, hearty, and so satisfying after a day of hard work! 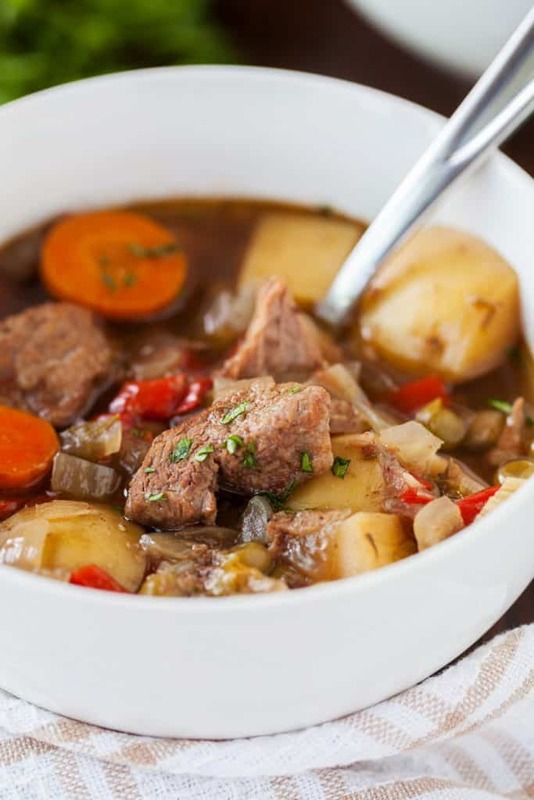 Throw the beef stew recipe together in the morning before beginning your day, and the stew will be waiting for you when you get home. 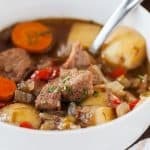 Want a Thicker Beef Stew? To thicken the stew ladle out about 1/2 cup of liquid from the stew at least 15 minutes before serving. Whisk 2 teaspoons of cornstarch into the 1/2 cup of liquid and then add it back to the stew, stirring gently to combine. 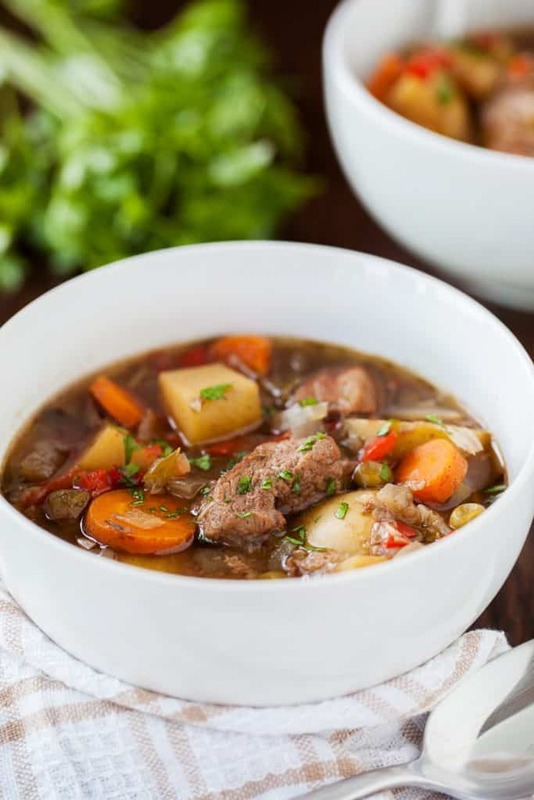 My family loves to embellish their individual bowls of crock pot beef stew, so we often serve it with shredded cheese, sour cream, and cilantro or parsley. Comfort food is what we do. If you are looking for some additional recipes to amp up your comfort food arsenal, look no further. Here are a few of my favorites! Coat the beef with the flour and brown in the hot skillet. Add the browned beef to the slow cooker along with the remaining ingredients. Cook on low for 8 hours. Remove the bay leaves and season with more salt and pepper if needed. Thank you, a lovely recipe indeed. My family loved it! This reminds me a lot of the Sancocho stew that my family normally makes. Looks about the same but veerrrryyyy delicious! I would like to add, though, that the taste is millions times better in the winter but thats because my family usually makes stews like nuclear hot. I found your site today for the first time. I am always searching for new and quick and easy recipes. I have recently retired and I am an old fashion cook use to home style country cooking and ready to find simplicity and time saving ways of cooking. I like your site but some of your followers and commenters are rude to the point of needing to be brought to attention and then banned. And most of them are commenting without first trying the recipes. What asses? Some people take freedom of speech too far and and some comments were too negative and based on no prior information. Block them and continue on in your endeavor. In the recipe with regard to the celery…is that 2 stalks or 2 ribs? 2 stalks seems like a lot of celery. 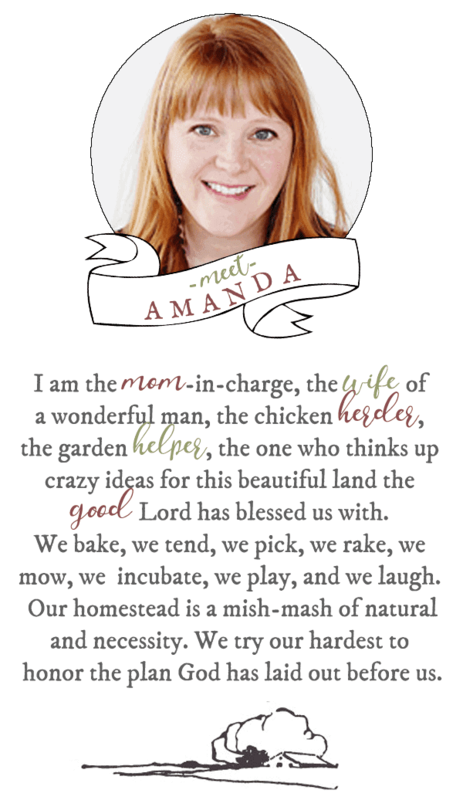 I love your recipes, especially the beef stew.